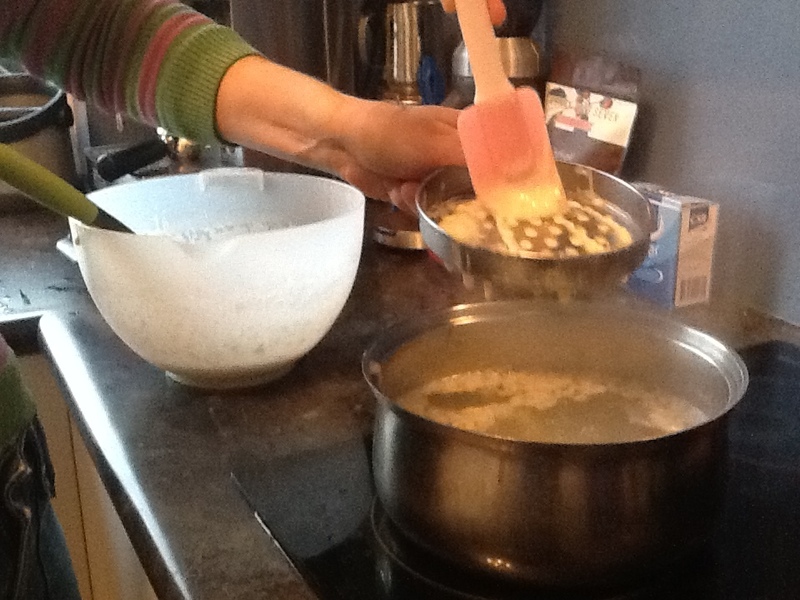 After last nights delightful fish finger dinner, I thought I’d try a bit harder tonight 🙂 Making cheese Spätzle Now we’ve covered my love of Spätzle some time ago in my posts, so I shan’t ramble on again now. It’s cheese Spätzle – which basically makes it European mac n cheese, and now that I think about it, it’s probably where mac n cheese originally comes from. I started making a Kraut Salat to go with it, but the cabbage I was using tasted weird. I don’t know what was wrong with it, but it just didn’t taste right. So I decided it was best not to eat it. So sadly I have no salad to go with this dish. 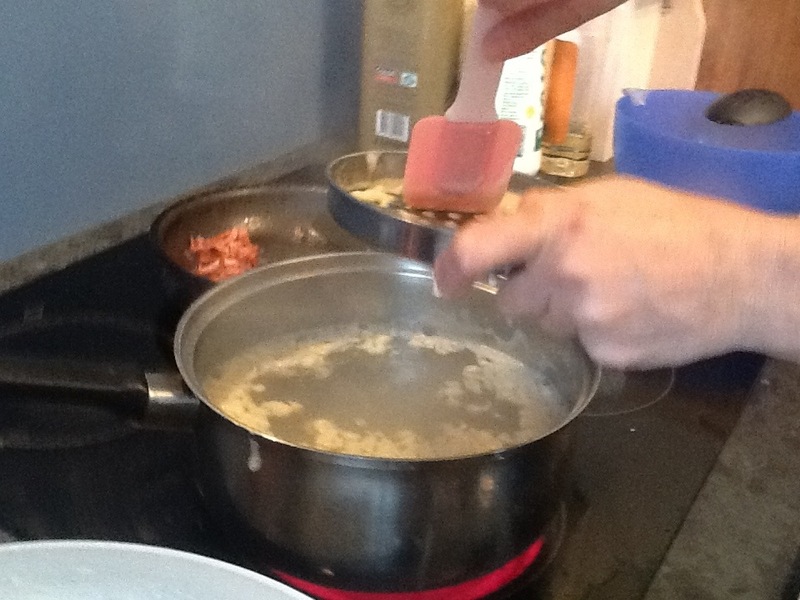 Making the Späzle is a high tech process. 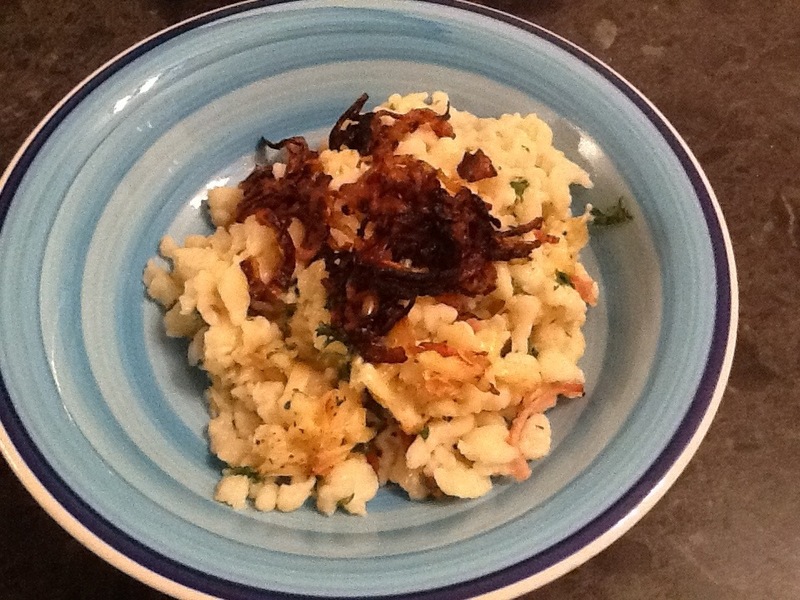 One day I might invest in a proper Späzle maker. Due to the lack of side dish with dinner, we are having dessert instead. 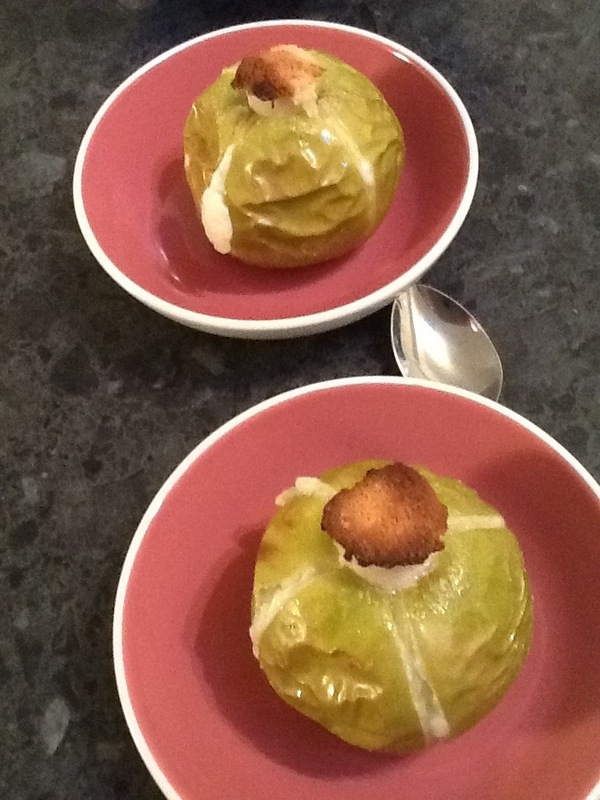 Baked apples with marzipan.